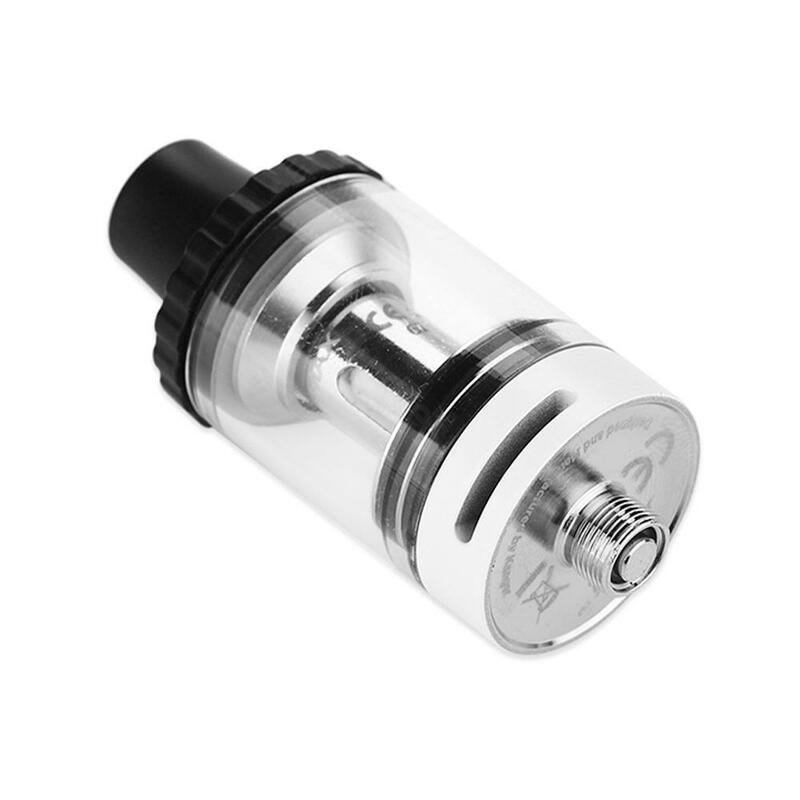 Kangertech JUPPI Tank is a 3ml liquid capacity sub ohm tank features top filling, symmetric airflow slots, cone drip tip design and 0.2ohm rewickable NotchCoil structure atomizer head. Kangertech JUPPI Tank Atomizer is a 3ml liquid capacity subohm tank features top filling, symmetric airflow slots and cone drip tip design. The unique 0.2ohm rewickable NotchCoil structure atomizer head is better for efficient heating surface area. When Kangertech JUPPI Tank meets 75W JUPPI Box MOD which will be a powerful combination and bring you pure flavor and huge vapor! In addition 510 thread and 22mm diameter make Kangertech JUPPI Tank Atomizer is easy to match most electronic cigarettes battery and mod. It's really a nice little tank for high VG blend juice. I am enjoying amazing flavor with it. And for only $9.99, I highly recommend it! It's a nice cheap tank. Love it! Have been using it for almost one month and haven't got any problem. 3ml juice capacity can last me all day vaping. And I really enjoy the flavor. Great purchase! Got my JUPPI tank at only $9.99. You can't really beat the price. lol And it works just fine. Good purchase! Barrel shoulder cupcake ordered the, only on arrival. Thank you very much. Skin is good. For such a price, I can't say no to this JUPPI tank. Especially it performs well, delivering nice flavor. Well done, buybest. Look forward to more good bargains. With the high quality but low price, Kangertech JUPPI Tank - 3ml is actually fantastic. The e-cig for who want to vape. Sicherlich nichts für den täglichen Bedarf, aber für Kangertech JUPPI und wieder echt zu empfehlen.